Are you sick in finding digital cameras under 200 USD? As the days are passing various new models of camera are arriving in the market. One of best known camera which is blooming the market is digital camera. There are different models of digital cameras from different companies are readily available and with the advance of technology they are also cheap and powerful and has features similar to that of top rated digital cameras. 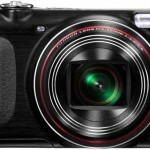 Canon PowerShot ELPH 100 HS – Canon has recently announced this camera which is the part of Canon’s latest HS System. It comes in 12.1 MP and has some nice features like LCD screen of 3” along with video capability of 1080p, CMOS image sensor and 4X zoom. This formula camera works well for low or dim light and have high clarity picture taken capability. You can get this in five cool and attractive colors of blue, pink, gray, silver and orange. Fujifilm FinePix XP30 – Fujifilm has launched this model in the last year to review FinePix XP10 and have many features similar to it while upgrading very few like it has 5X zoom lens along with 2.7 inches LCD display and underwater video recording capability up to 16.4 feet water depth and working in temperature as low as 14 degree Fahrenheit. You can get this in blue, silver and orange color. Olympus SZ-10 – It is also a sub-$200 14 MP camera. It offers optical lens of 18X zoom and 3 inches high resolution LCD screen. It has the ability to shoot HD video of 720p and 3D mood and also you can use Wi-Fi by connecting it to a computer. Canon PowerShot SD1400 IS – This is Canon’s traditional and mixed vibrant camera and comes in traditional black and silver and non-traditional pink and orange color. SD 1400 IS provides 14.1 MP, 2.7 inches LCD screen, 4X zoom and optical image stabilization along with 720p HD video taking ability. It is one of the extreme thin and sleek models of Canon measuring 0.70” width. Fujifilm FinePix T300 – This model is also recognized as T305 in some parts of the world carries resolution of 14MP and have 3 inches of LCD screen, 10X optical zoom lens and 720p HD video recording capability and have thickness of just 0.9 inches. This model is available in gunmetal gray, black, champagne gold, blue and red so you can choose favorite color model. Out of several others camera under 200 USD some are mentioned here. These all are the best digital camera under $200 comprised of exclusive features similar to that of high priced camera. You can buy any one out of this as each one is unique than the other. zac jhonson has written 40 post in this blog.